Apple’s new iPad Pro is in two slates 10.5-inch iPad Pro 2 and 12.9-inch iPad Pro 2. Both tablets gain a brand new A10X chipset. It might come with a bezel-free design. So if the upcoming device will come with a bezel free design, the Home Button will also disappear and the Touch ID will be integrated into the display. Hardware- New A10X Fusion chip with 6-core CPU with 12-core GPU. Internal Memory- 4 GB RAM and 64GB but are also available in 256GB and 512GB configurations. Camera-Primary: 12 MP with optical image stabilizer. Secondary: 7 Mp HD camera. 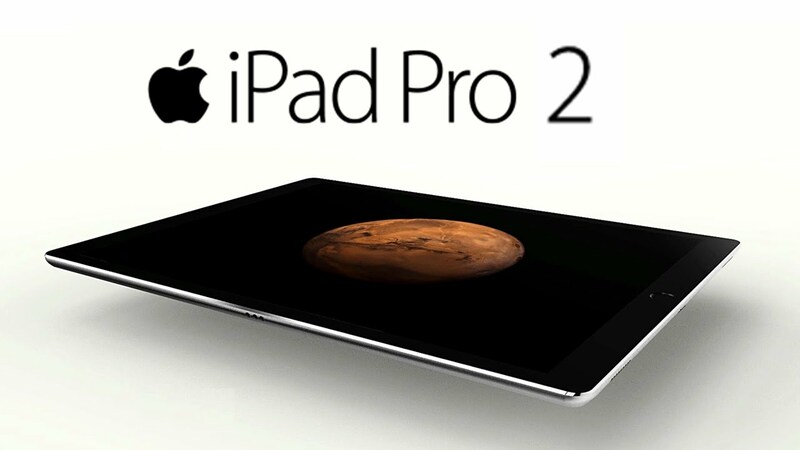 The new iPad Pro 2 release date is June 5, 2017. As far as Apple iPad Pro 2’s price is concerned, The 10.5-inch model starts at $649, while the larger 12.9-inch version starts at $799.